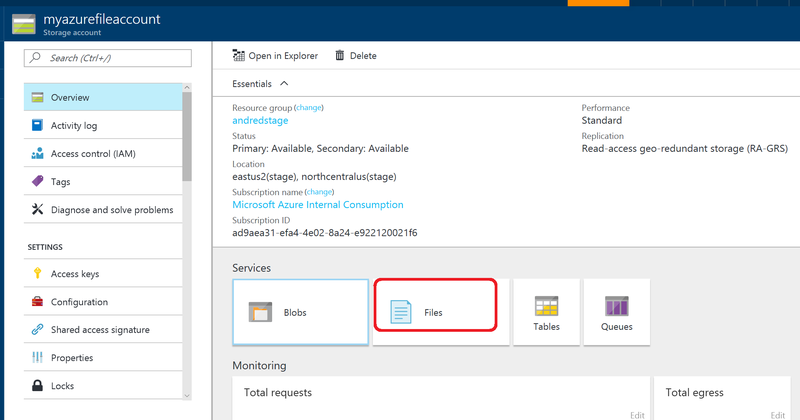 To create an Azure file share, you can use a Storage Account that already exists, or create a new Azure Storage Account. 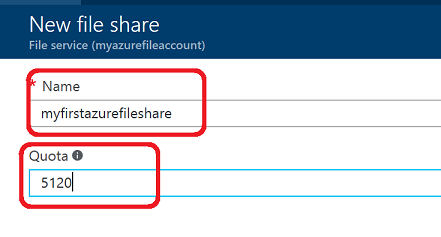 To create an Azure file share with PowerShell, you will need the account key and name of your storage account. You will need a Storage account key if you plan to use Powershell or the CLI. To prepare to use PowerShell, download and install the Azure PowerShell cmdlets. See How to install and configure Azure PowerShell for the install point and installation instructions. It's recommended that you download and install or upgrade to the latest Azure PowerShell module. Create a context for your storage account and key The context encapsulates the storage account name and account key. For instructions on copying your account key from the Azure portal, see Storage account access keys. The name of your file share must be all lowercase. For complete details about naming file shares and files, see Naming and Referencing Shares, Directories, Files, and Metadata. To prepare to use the Command Line Interface (CLI), download and install the Azure CLI. See Install the Azure CLI and Get started with Azure CLI. Create a connection string to the storage account where you want to create the share. echo "Couldn't retrieve the connection string."